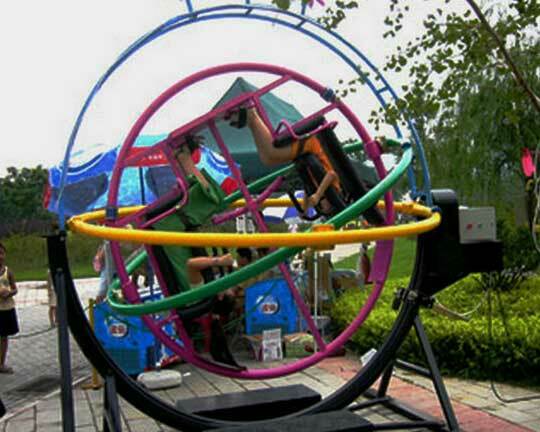 The human gyroscope ride is an amusement ride popular among children and adults. It allows them to experience how to become pilots and astronomers. This 3D space ring ride rotates 360 degrees with a speed depending on how the riders control it. For each ride, two passengers are allowed to get in. 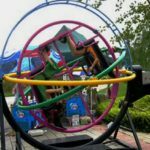 Human gyroscope rides can be seen in indoor and outdoor playgrounds, malls and amusement parks. 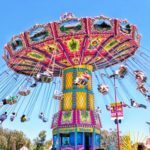 What Are The Advantages Of Purchasing A Human Gyroscope Ride? 1. It has three dimensional rotation and a colorful and artistic appearance. Its gorgeous lights and music make it more attractive especially for the children. Such features will make the whole riding experience fun, entertaining and memorable for the children. 2. You can customize a space ride for your own park. 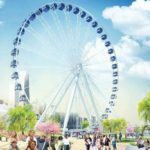 Amusement park owners can choose their own design according to the theme of their parks. They can add more LED lights and musical devices to make it more appealing and entertaining. 3. The riders will never get bored of this ride. 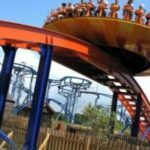 They are allowed to directly control the movement and the speed of the ride by using their weight. This makes them spend their whole time making it move and rotate so they will not easily get bored. They can also try different maneuvers and focus on the different parts of their body. 4. It provides total workout for the body. There are no motors installed on the ride, and so the movement will all be initiated by the riders. 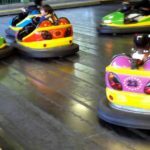 The greater the body weight and energy that they will expend on it, the faster the movement and the rotation of the ride as well. Riding a human gyroscope feels like you have done push ups, sit-ups and treadmill because your arms, stomach and legs are exercised. 5. It is safe and profitable. This amusement ride can attract many children. The quality materials used in making the ride makes it safe for everyone who wants to try it. 6. It is made from quality materials. 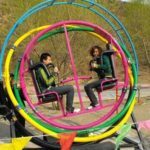 The human gyroscope ride is made of fiber reinforced plastic and thick steel. With these materials, you can make sure that the ride will function smoothly for a few years. This requires minimal maintenance as well, so you won’t have the burden of calling the manufacturer and asking them to assist you in repairing. 7. It helps reduce stress. Any form exercise can help in decreasing mental stress. 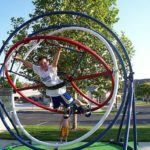 The human gyroscope ride provides stretching exercises for the riders that will help them release their stress. This 3D space ring ride provides a lot of benefits for the park owners and the riders. 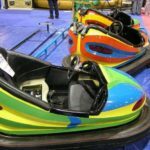 The advantages mentioned above are some of the reasons why this ride is one of the best selling and most popular amusement rides. 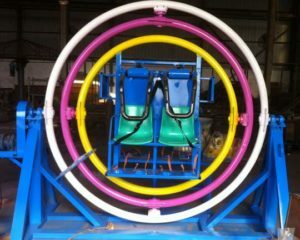 Buying a human gyroscope ride is one of the greatest investments that the amusement park owners will ever make.